Showerheads with unique features. Get your Showerheads here today. 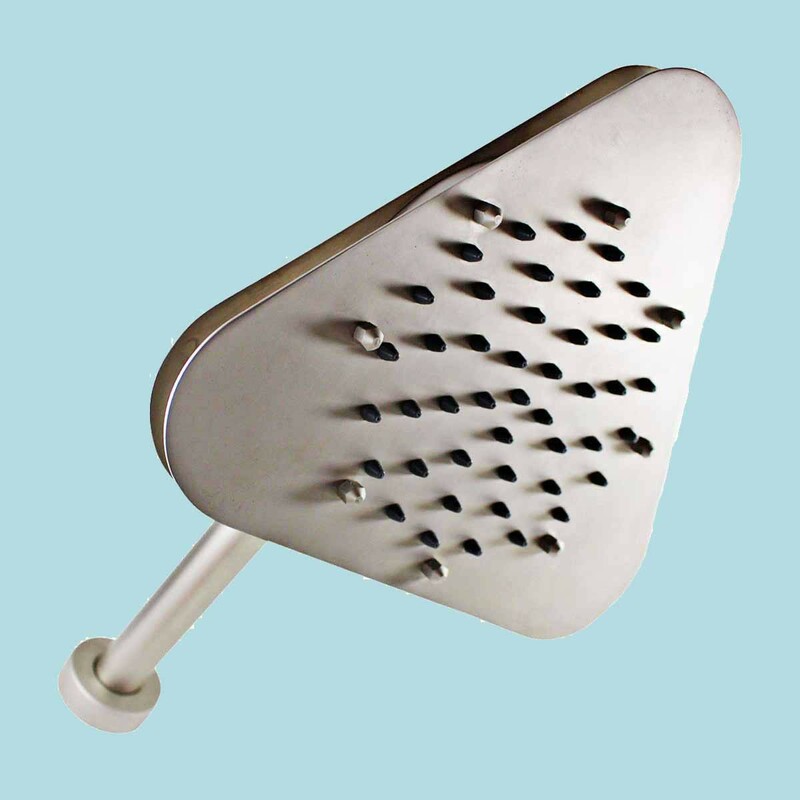 Shower Power! 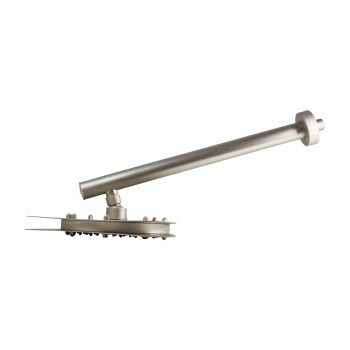 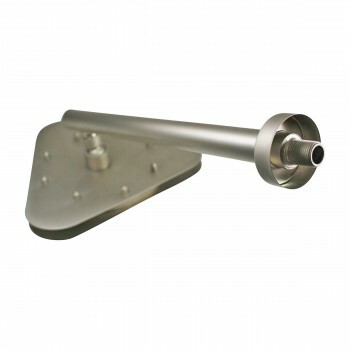 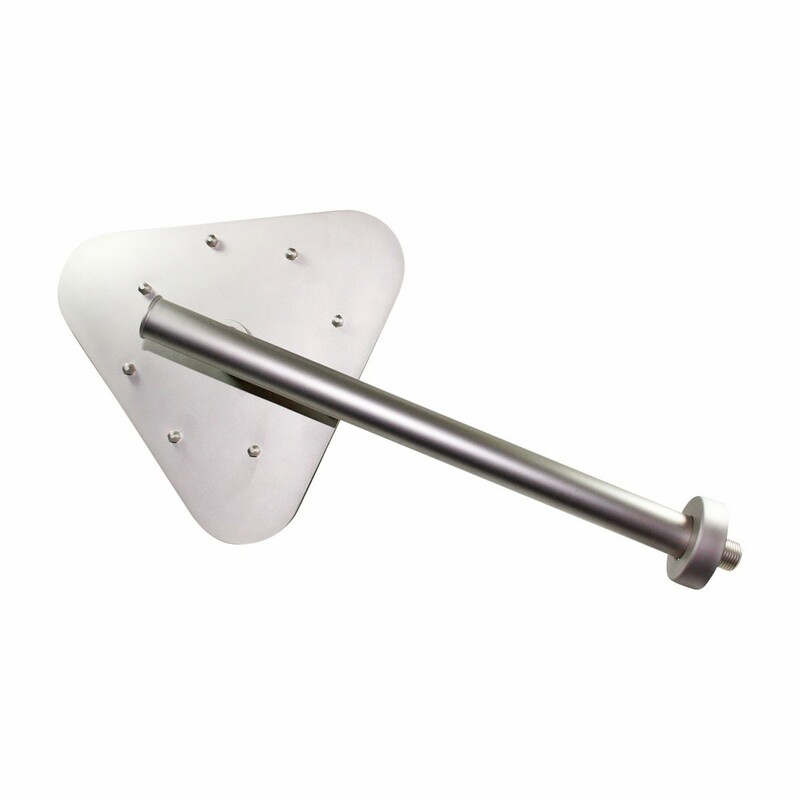 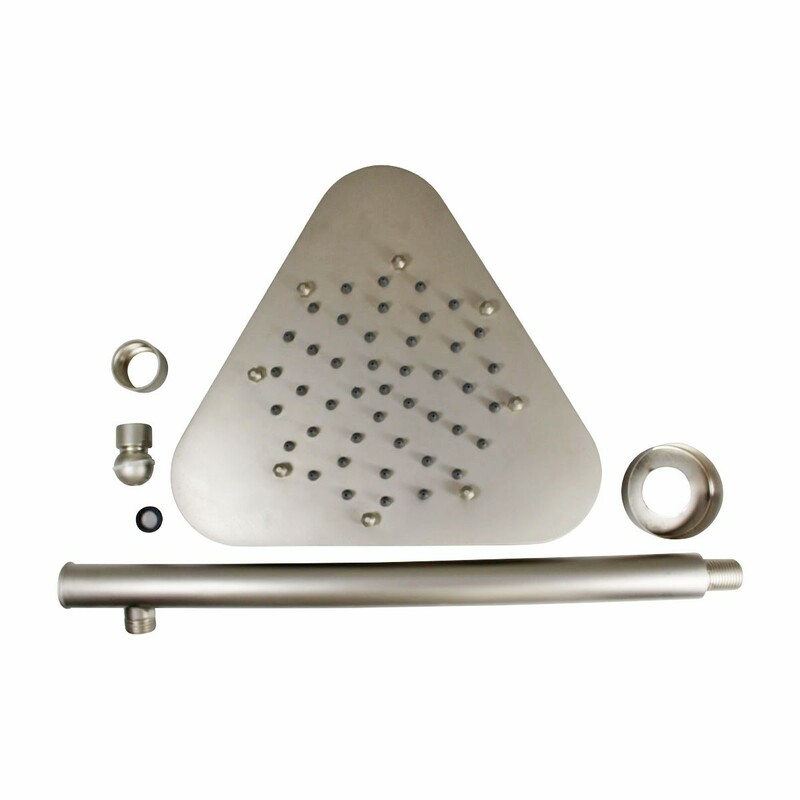 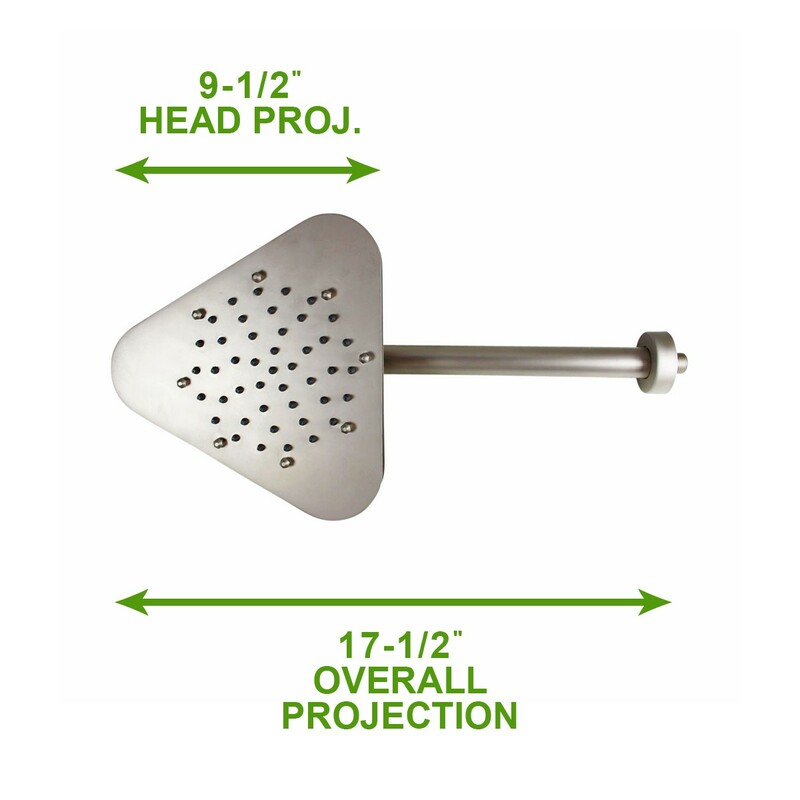 This shower triangular head is premier among our luxurious shower systems. Let the 51 fine mist jets massage your cares away. 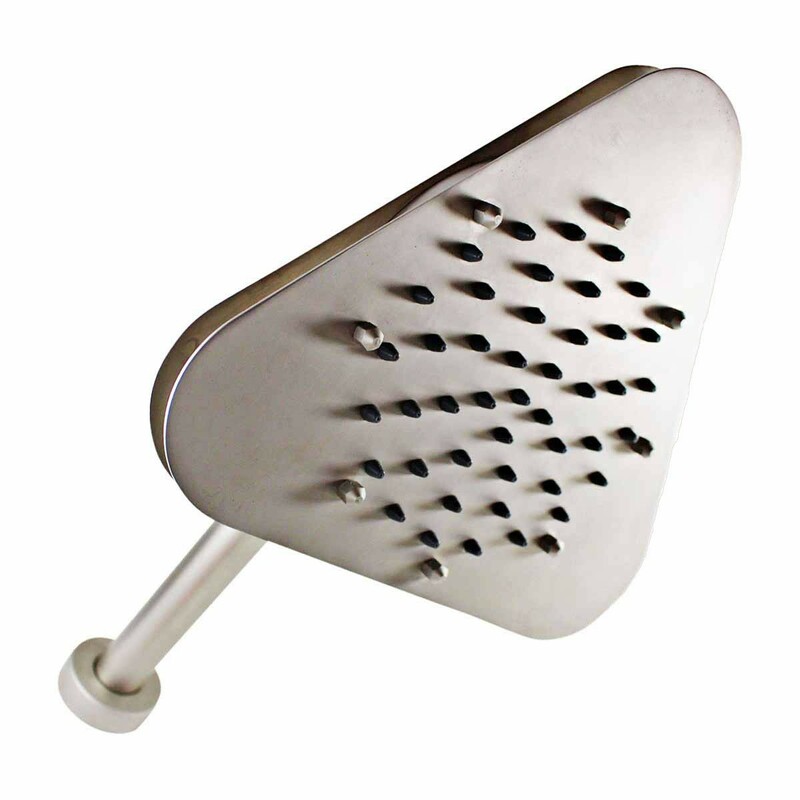 A Satin Nickel finish over solid brass ensures these shower heads will be tarnish free for many years to come. 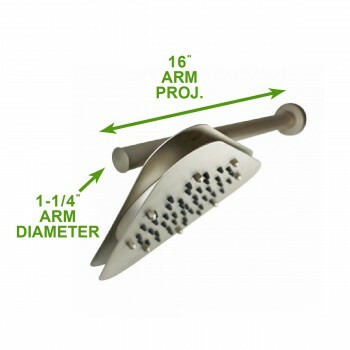 Includes high-shine satin nickel shower arm & flange.